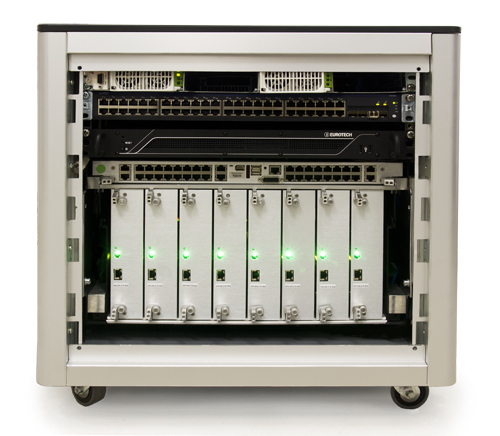 The Aurora G-Station is a supercomputer in a box. Small and compact, easily deployable with minimal infrastructure and no extensive HPC knowledge. The Aurora G-Station is small and compact, easily deployable with limited infrastructure. Available in different configurations, pre-loaded with the software stack, the G-Station is silent thanks to its liquid cooling, has no messy cabling and can be deployed in an office with no need of a controlled environment. Aurora G-Station is ideal for whoever needs easy high performance everywhere. NVIDIA GRID cards gives a boost to process heavy graphic workloads. 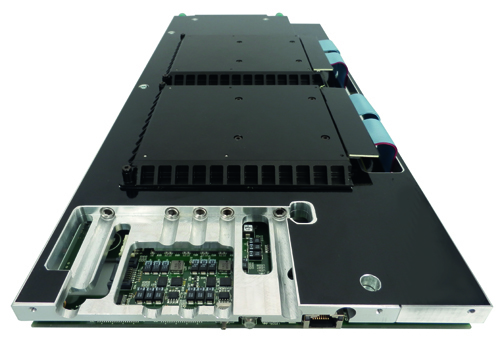 Powerful – Aurora G-Station is able to perform at 21 Tflop/s per rack. It has very fast Infiniband QDR interconnects. Silent – The Aurora G-Station is water cooled, so it produces very little noise. Modular – From 1 to 8 double socket double GPU blades in a single unit. More units can be connected together. Scalable and easy – The G-Station doesn’t have complicated and messy cabling and it easily scales joining more modules together. Compact – Remarkable density, storing 16 powerful Xeon processors and 16 Nvidia Kepler GPUs or Intel Phi in a 65cm (or 95cm with incorporated heat exchanger) rack. Energy efficient – Aurora G-Station marks a record in energy efficiency with over 3.2 GFlop/s per Watt. Water cooled – All computational nodes (CPUs, coprocessors, memory, board) in the Aurora G-Station are water cooled, without the need of an expensive infrastructure to be deployed. All heat can be taken out of the room just as with a split air conditioner.